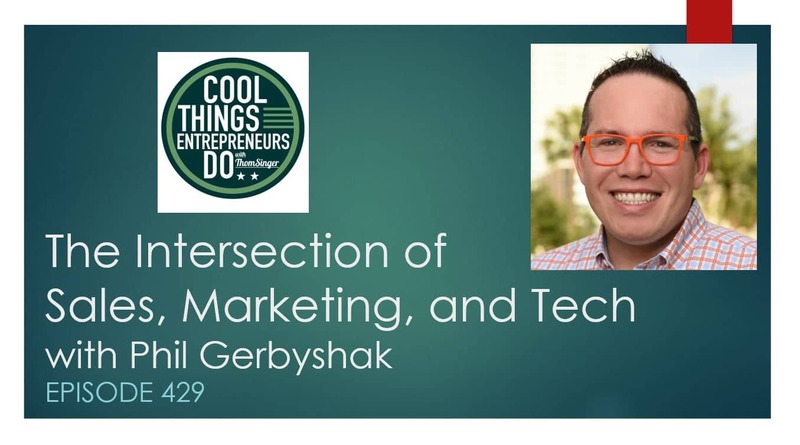 Episode 429 of “Cool Things Entrepreneurs Do” features a return visit to the show from Phil Gerbyshak. Phil and Thom Singer candidly discuss issues around the intersection of sales, marketing, and technology, and spend a lot of time unpacking the power of using LinkedIn. Thom Singer is a motivational speaker and professional master of ceremonies. Seeking a sales speaker? He will inspire you team to explore their potential and take action.